Hare (Lepus; Ukrainian: заяць or заєць zaiats or zaiets). Mammal of the family Leporidae of the order Lagomorpha. 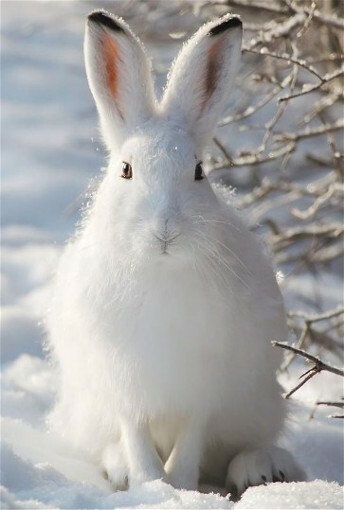 Distinguished from rabbits by physical and developmental characteristics, the hare is about 47 cm long and 1.5–4 kg in weight, depending on the species. 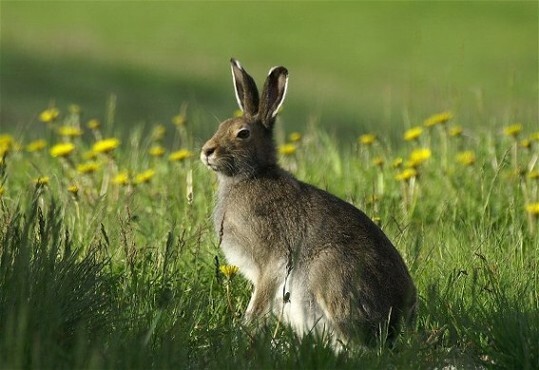 Two species are found in Ukraine: the brown, or common hare (Lepus europaeus), most numerous in the steppe regions, forest-steppe regions, and Kuban region, and the white, or blue hare (Lepus timidus), infrequently found in the northwestern parts of Ukraine. 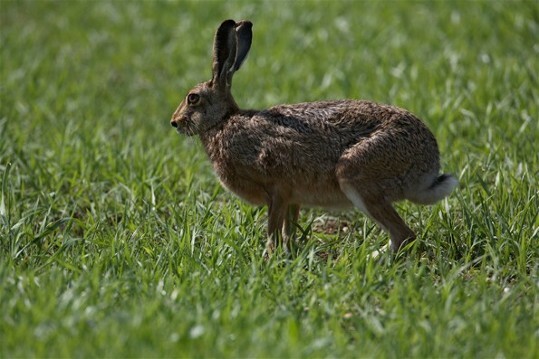 Hares are herbivorous and occasionally damage pastures, crops, and forest vegetation. Hare are hunted in Ukraine for their meat and fur.